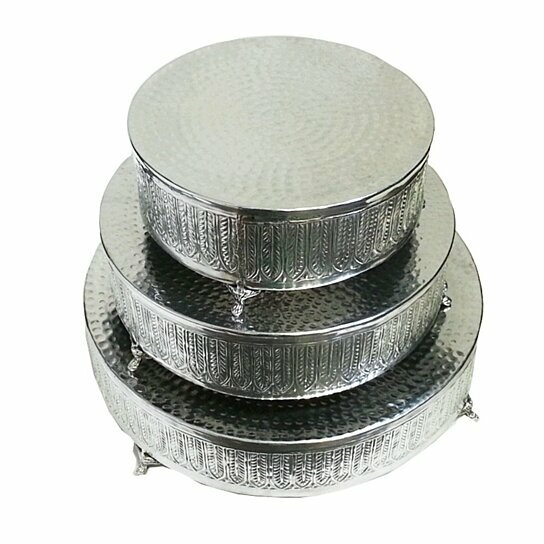 Have a look at these cake stands which will in no time become the center of attraction in your house. Made from high quality aluminum it will stay in top notch state for years. The top panel features a hammered pattern while the sides feature amazing leaves with veins pattern. Choose to keep all these stands together or separate according to your need. It will add elegance and class to your home.